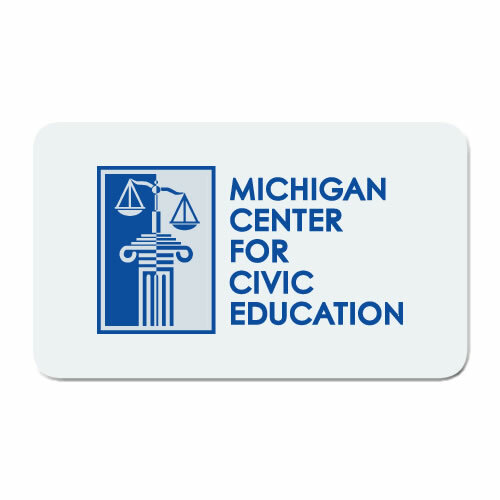 The Michigan Center for Civic Education (MCCE) is a non-partisan, non-profit established in 1982 to offer programs to enhance instruction in civics, government and law. It is the premier organization in Michigan solely dedicated to preparing a strong citizenry. A recognition that citizenship entails responsibilities as well as rights. An understanding of how they can participate positively in the legal and political system. An understanding of and respect for core democratic values. The Center offers programs and instructional materials to teachers, students, and members of the community to provide youth with the knowledge and practice they need to become competent citizens. Please select your membership and support level from the drop down menu: Student, Contributor, Sponsor, Sustainer, Benefactor or Gold Member.